Following through on President Obama’s Climate Action Plan, the U.S. Environmental Protection Agency (EPA) has added five chemicals with low Global Warming Potential (GWP) and which don’t deplete the ozone layer to its list of approved refrigerants. The EPA’s final rule also conforms and advances the decades-long international effort to eliminate the use of chemicals that deplete the ozone layer, which shields life on earth from destructive ultraviolet (UV) radiation from the sun. Having taken into account feedback and input from industry, environmental groups and other stakeholders, the EPA approved ethane, isobutane, propane, R-441A (a blend of hydrocarbons) and HFC-32 (difluoromethane) for use in various types of refrigeration and air conditioning applications under the SNAP (Significant New Alternatives Policy) Program established under the Clean Air Act, the federal environmental agency announced March 2. Though present in minuscule quantities (an average 0.6 parts per million (PPM)), the ozone layer absorbs 97-99 percent of the sun’s medium frequency ultraviolet radiation. In the 1970s, scientists raised the alarm about CFC emissions depleting ozone (O3) in the lower stratosphere (some 12-19 miles above the Earth’s surface) threatening all forms of life. International policy makers and national leaders acknowledged this assessment and took action by signing the Vienna Convention on the Protection of the Ozone Layer in 1985, and the subsequent signing and ratification of the Montreal Protocol (in 1987 and 1989, respectively). The two most widely adopted multilateral environmental agreements (MEAs) to date, the Vienna Convention and Montreal Protocol are administered by the UN Environment Programme’s (UNEP) Ozone Secretariat. 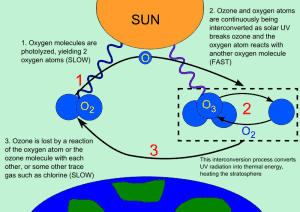 The Montreal Protocol establishes targets and schedules for developed and developing countries party to the international treaties to phase out and eventually eliminate production, use, and emissions of eight groups of widely used chlorine and bromine gases responsible for depletion of the ozone layer. This list includes all CFCs and HCFCs. The EPA’s approval of low-GWP substitutes should add momentum to international efforts to phase out ozone-depleting chemicals and reduce greenhouse gas (GHG) emissions. Under the Montreal Protocol, production, use and emissions of CFCs were phased out worldwide in the mid-1990s. 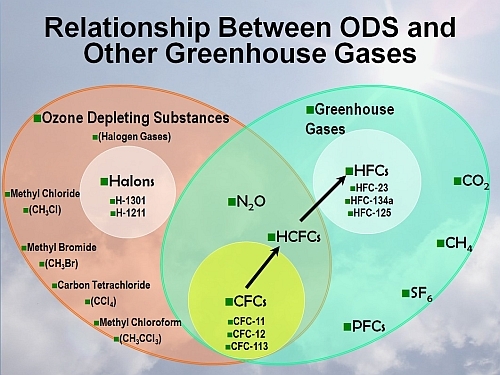 The complete phase-out of a group of halon gases and other CFCs was completed in 2010. The phase-out of HCFCs – R-22 being the most widely used – began in 1996 and is slated to be complete across the EU and all 197 national governments party to the Montreal Protocol by 2030. Under the terms of the MP, developing countries, including China, India and Brazil, have a longer period of time in which to phase out and eliminate production and use. 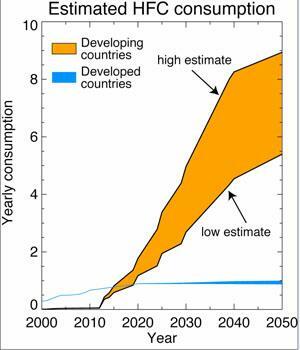 The good news is that the ozone layer is expected to recover by 2050 if the treaty is adhered to. Here in the U.S., “We went through a major transition leading up to 2010 as we phased out of R-22,” Bart Powelson, director of commercial A/C marketing at Emerson Climate Technologies, stated in an interview. Interesting post . I was fascinated by the details , Does anyone know where my assistant might acquire a sample Bankruptcy B6I document to fill out ?